All Delineator Systems are not created equal. Don’t be misled by others selling Highway Signs for Roofing. After 14 months of development, The Redline Warning Line System is Leading Roof Edge Protection System!! 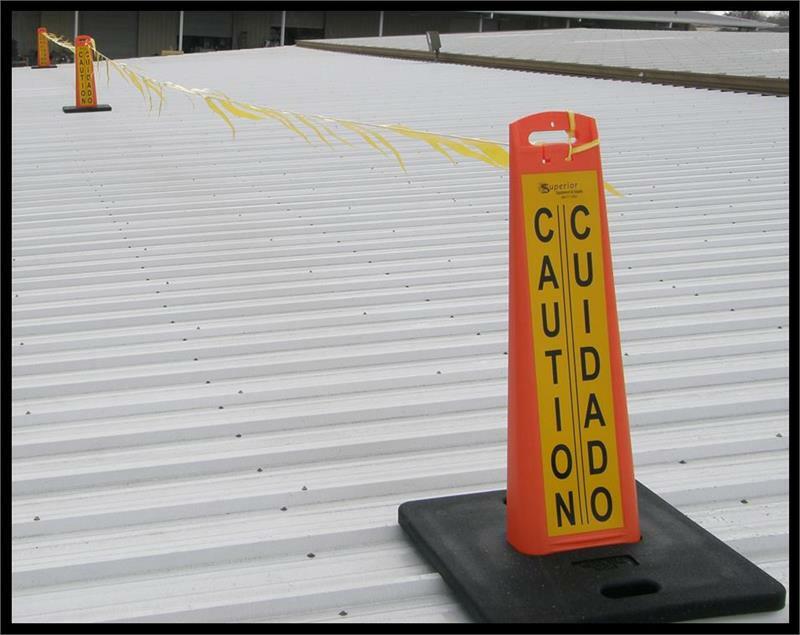 This is the only Delineator System that meets & or exceeds “OSHA” specifications! And Best of All, its made in the USA! System exceeds OSHA 1926.502 (F)(2)(ii), (F)(2)(iii) standards. Pennants are spaced every 12". Base leaves no rust on membrane and will not puncture the roof. Bases can be stacked and Stancions will slide into eachother. Extremly visable on the roof. 3 - Orange Uprights with special flag holders.